Maximum Fuel Economy and Excellent Anti-Wear Protection, Engineered for pre-2007 diesel engines in on-road applications as well as all model year diesel engines in off-road applications. Also engineered for all gasoline engines recommending API SL specifications including turbo-charged vehicles. Provides superior wear protection and fuel efficiency. 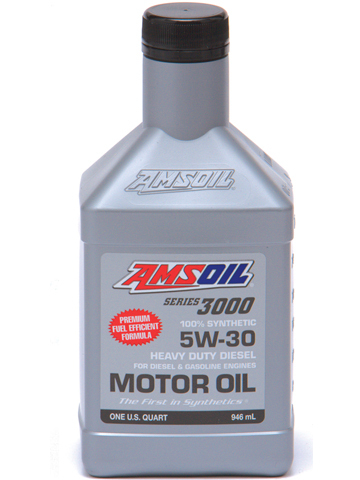 AMSOIL Series 3000 5W-30 Synthetic Heavy Duty Diesel Oil delivers extraordinary lubrication in both diesel and gasoline engines found in commercial, fleet and personal vehicles. By combining the industry's premier synthetic technology with AMSOIL premium additives, AMSOIL Series 3000 exceeds the higher performance demands of modern engines, including those with turbochargers. It withstands the stress of higher heat, higher acid levels and excessive soot-loading found in exhaust gas recirculation (EGR)-equipped engines. 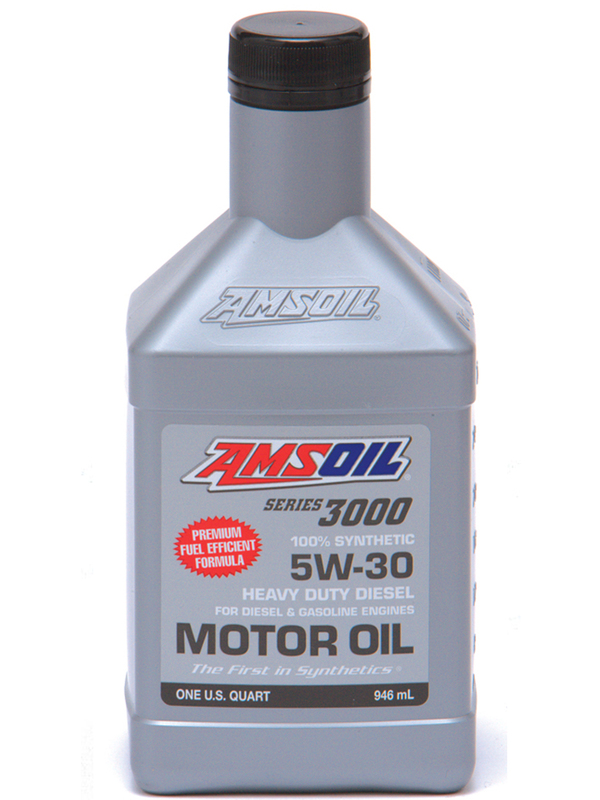 AMSOIL Series 3000 5W-30 Synthetic Heavy Duty Diesel Oil consistently outperforms conventional and synthetic diesel oils for long-lasting performance and protection. AMSOIL, the leader in automotive synthetic lubrication, produced the world's first API-qualified synthetic motor oil in 1972. Trust the extensive experience of AMSOIL, The First in Synthetics® to do the best job protecting your engine.